No matter how you spell it, whether Tsfat, Safed, or Sfat, this holy city in the Galilee never seems to disappoint our guests at My Israel Wine Tours. This Kosher tour was a unique opportunity for me to test my knowledge and training as I prepare to take my exams in order to become an official tour guide here in Israel. Having trained for more than a decade in the world of wine, I was keen for this opportunity to expand my knowledge of my new home and share my passion for wine and food with our guests. Departing from Haifa, we set out into the Galilee and began our day of winery exploration and art examination. Our first stop was at my favorite Kosher winery in the area of Mt. Meron, Luria Winery. Like most of the wineries we visit, this is a boutique winery, producing around 20,000 bottles a year and refusing to compromise quality for quantity. Named after the great Kaballist rabbi, ‘the Ari’, Yitzhak Luria this stop set the stage for the adventure that awaited us in Safed. The winery is less than a decade old, yet this family has already made it’s mark on Israel’s growing wine scene, producing a range of whites and reds that will surely make your palate happy. We chose to only relish in the tasting since our guests were keen to make our way to Safed, but not before trying the delicious Italian grapes of Sangiovese and Barbera that others have tried and failed to make thrive. 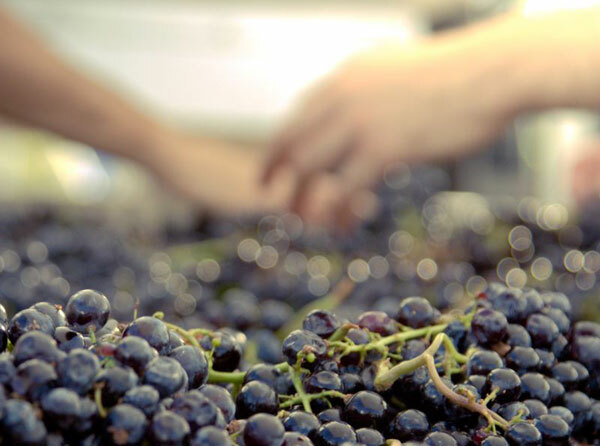 With attention to detail and the sloping hills of the surround area where the grapes are grown, Luria has found the secret to making these grapes which have brought fame and fortune to Italy thrive right here in Israel. Luria also offers visits to the vineyards and the winery in conjunction with the tasting and while this extended tour is something I’ve done with other guests, this time it was all business for these seasoned wine lovers. With Safed on our heart and appointments awaiting, we set out for the rest of our day’s adventure. Sheva Chaya has been crafting her trade for over a decade as a glass-blower and as an artist for her whole life. This dedicated artist, mother, wife and Safed resident, originally from Denver, welcomed us into her studio and gave us a wonderful demonstration of her work and the relationship that the Safed mysticism has had on her art and life in general. The relationship between glass, fire, and creation took me instantly into the world of glass bottle making which has it’s own rich history in Israel, but that I’ll have to save for a future posting. Nonetheless, after a wonderful demonstration, of her craft, and the yummy wine in our belly, it was time for lunch. While I won’t reveal too much regarding the delicacies that awaited us, nor the other sacred wineries that we enjoyed while perusing the charming allies of Safed, I will invite you, readers and future guests to join us for a tour in the Galilee and add Safed to your list of destinations to combine the worlds of art and the art of wine to make for a lovely day in Israel.